Pet owners have been interring ashes in a permanent place for hundreds of years to mark the sense of loss, love and respect felt for loyal companions. We are therefore pleased to announce that we are now able to inter ashes in our Garden of Remembrance located at Durham. This new service comes after many requests resulting in careful planning and considered enhancement of our peaceful garden. Each interment plot will be marked with engraved memorial plaque with four lines of text, providing a lasting reminder of a faithful friend. You can ask for your pet’s ashes to be interred at the time of your pet’s individual cremation or at later date when you are ready. 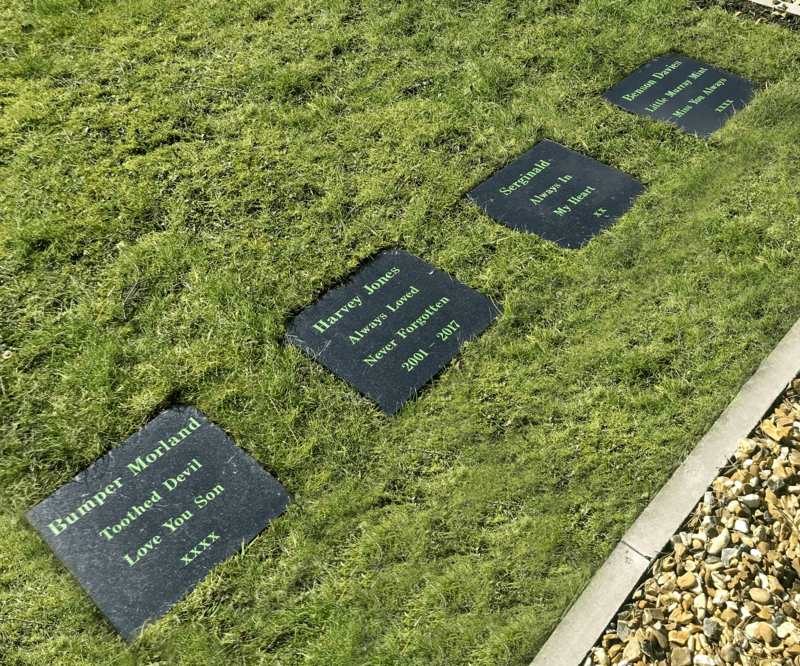 We will discuss your wishes with you and notify you when the plaque has been laid, or you may choose to say your goodbyes on the day of the interment and place some fresh flowers on the plot. Contact The Pet Crematorium to discuss your wishes, where we can help you mark your pet’s passing.